Wife: Soon we won’t be able to distinguish our schools from our prisons. Husband: Not true. 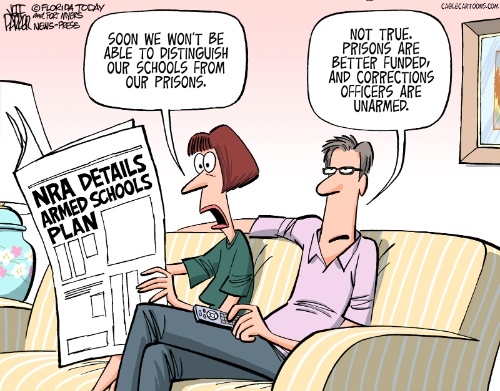 Prisons are better funded, and corrections officers are unarmed.